I know when I got diagnosed with Hashimoto’s, it was very overwhelming, but I was also grateful to have a diagnosis because I could do something about it. 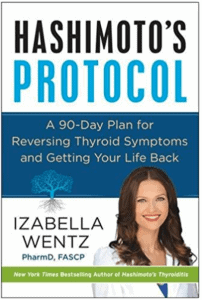 My latest book, Hashimoto’s Protocol: A 90-Day Plan for Reversing Thyroid Symptoms and Getting Your Life Back is near and dear to my heart because this book is my answer to “I have Hashimoto’s, now what do I do?” Whereas Hashimoto’s Thyroiditis: Lifestyle Interventions for Finding and Treating the Root Cause answered the why? Hashimoto’s Protocol answers the how? If you are as brain-fogged now as I was when I began my journey, you want to be told exactly what to do eliminate some symptoms right away! My mission is to provide solutions for the millions that suffer every day and Hashimoto’s Protocol is one of the ways I hope to help you to feel better and live your life’s purpose! 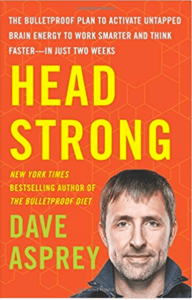 Head Strong tackles the myths behind this “new normal” head on – proving that building (and keeping) a strong, resilient mind isn’t just for the genetically gifted. The next-level biohacks, “smart drugs” and a comprehensive list of Dave’s personally-chosen brain-boosting supplements and much more!! Head Strong is bound to exceed your expectations. And…if you follow his advice, you will likely be more productive than you ever imagined! I read your book and currently working with functional medicine doctor. – on page 189 under the description of B vitamins you mention “selenium by pure encapsulations”. Why selenium? You already have “selenium” mentioned later after “vitamin c”. Is it a typo? – on page 143 and 144 you suggest both “rootcology liver gallbladder support” and “rootcology liver reset powder”. So do you suggest to take them both or choose one of them? – on page 143 you suggest to take “rootcology methylation support” indefinitely if person has MTHFR gene mutation. So, during adrenal protocol, can person take both “rootcology methylation support” and “b-complex by pure encapsulation” and “benfomax” or it’s going to be too much? 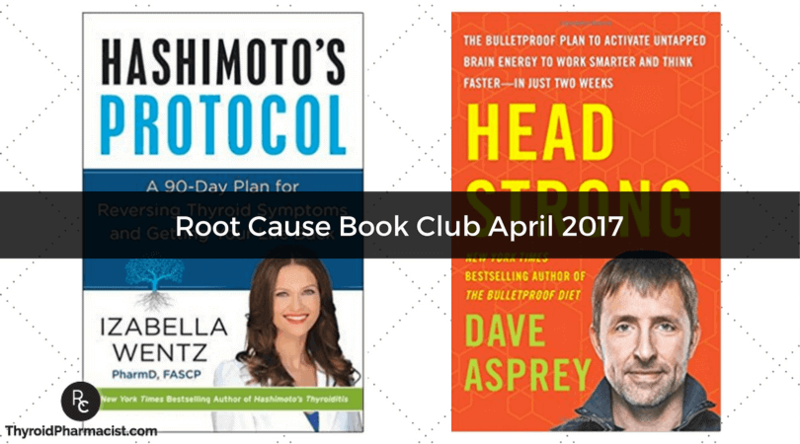 – on page 143 you suggest to take “rootcology amino support” also during gut cleanse, but you don’t mention it later on page 217. So shall person take “rootcology amino support” during gut cleanse in addition to mentioned “l-glutamine”? – if person has to dine out during liver support protocol and is not sure about quality of food in the restaurant, can he take digestive enzymes? Will digestive enzymes interfere with liver support protocol supplements mentioned on page 143? Thank you very much for your response. I think it will also help a lot of people who have questions after reading your book. I do not have your book, yet but was diagnosed with low thyroid function about 10 yrs ago, by my gynecologist. He specialized in bio-identical hormone replacement. I have been using bio-identical creams daily since then. Are there any other options available? What is your opinion about their use? How do I find a doctor who is knowledgeable in this area (I live in Iowa, but have used an out of state doctor in the past)? Navonne – thank you for following this page. Please, understand that due to liability issues, I am unable to answer specific medical questions. Very informative post! I was wondering which of your books to order first to get me started on my healing trip. Hashimoto’s Protocol is on it’s way to me now! I already bought your book “root causes of Hashimoto” and in you page 34 your talk about the list of compounding pharmacies on your web sites thyroidpharmacist.com, under the “Resources” tab; but i was trying to find this information and was not possible to access and find it. Please, could you help me to find this information.